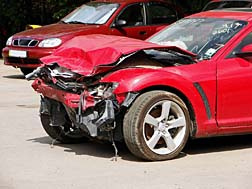 Springfield auto accidents can happen at any time and can have devastating consequences. Each year, thousands of people are injured and hundreds are killed in Springfield accidents. Victims of a Springfield car crash may face years of rehabilitation and therapy, not to mention lengthy hospital stays. Even people who survive their Springfield car accident may find their quality of life is affected by their injuries. Send your Springfield Car Accident claim to a lawyer who will review your claim at NO COST or obligation. Car accidents can be the result of negligence on one driver's part, improper road maintenance or defective automobile parts. Springfield car crashes include rear-end collisions, collisions with other vehicles, collisions with pedestrians, vehicle rollover accidents, driving while under the influence and speeding. Injuries suffered by victims of Springfield car accidents include back and neck injuries, traumatic brain injury, broken bones, concussions, whiplash injuries, loss of limbs and burn injuries. Treatment for people in car accidents can be long, painful and expensive. Some car accident victims require long hospital stays, multiple surgeries and years of rehabilitation. Some never recover from their injuries. The National Highway Traffic Safety Administration reports 960 total fatalities in Missouri car accidents in 2008. Of those, 402 fatal crashes involved passenger cars on Missouri highways resulting in 467 fatalities. According to the Missouri Department of Transportation, 47.8 percent of automobile accidents on Missouri highways in 2008 involved passenger cars. Missouri uses the principle of pure comparative negligence when determining liability in a car accident. A person injured in a car accident can recover damages for his injury even if he was 99 percent at fault for the accident. In this situation the damages awarded to the victim are reduced by the victim's responsibility in the accident. For example, if the injured party is 60 percent responsible for the accident, his award will be reduced by 60 percent.